What is the Pitch Lab? The Venture Carolina Pitch Lab is for startup teams to practice and refine their presentations in an instructional environment before pitching to investors. The Lab is a conference room and pitching studio with live-streaming and recording/editing equipment, to allow entrepreneurs to generate professional-grade video for their marketing efforts. But more important is the onsite team of audience members - angel investors, educators, and volunteers that give entrepreneurs helpful feedback to hone their presentation skills and perfect their pitch before making their big investor pitch. As the old adage goes, practice makes perfect! Over the years, our team has seen the best and the worst of investor pitches. And guess what factor makes the biggest difference for a successful pitch? Practice. We're here to help you refine your presentation so that you can walk confidently into your next investor meeting and effectively communicate your vision. This type of practice and coaching often makes or breaks an investment pitch. 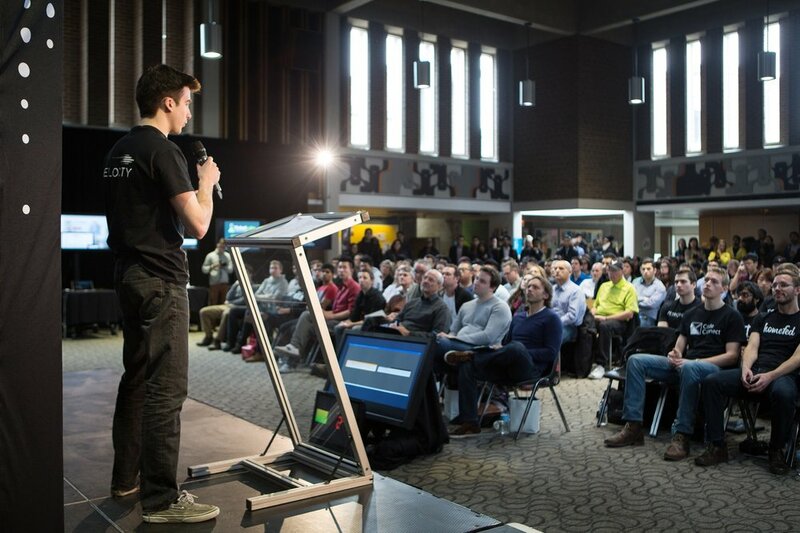 See examples of pitch decks that successfully raised money from investors! Would you like us to email you an example slide deck?